We did this back in March of 2014 with an article title Substance Consistently and I’ve been wanting to update that for some time. Ed Cyzewski – If the about page leads off with the author’s identity as a freelance writer, you know the writing is going to be above par. The blog is subtitled Contemplative and it will make you think. Stephen Altrogge – The Blazing Center is home to Steven, Mark Altrogge and Barnabas Piper. Although we aren’t from the same theological tribe, I really enjoy the variety of articles here; they tackle subjects I wouldn’t have otherwise considered. Jackson Ferrell – Another C201 connection, this one is recent. At Chocolate Book a Bible passage is paired with a chocolate flavor of the day. It’s a win-win! Jackson is a graphic artist who writes with straight-shooting honesty and transparency. Micael Grenholm – This Swedish writer’s blog, Holy Spirit Activism, brings both a charismatic/pentecostal perspective and a European perspective to matters of faith. Lorne Anderson – A longtime friend, Lorne had just started up Random Thoughts when we did our 2014 list, but dived into blogging with abandon and posts every day. Some items are more Canadian in substance, and not everything is faith-centered, but this has become a must-read for me, and when I miss, I play catch-up. name withheld – The author of Wintery Knight has a fairly good apologetic for keeping his blog anonymous owing to some high level position he holds. 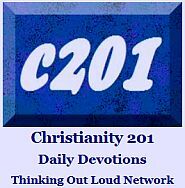 (The blog’s subtitle indicates the theme is faith in the public square.) The intrigue just keeps it all the more interesting. Aaron Wilkinson – Yes, he’s my son, but he’s writing some interesting stuff at this, his second blog, Voice of One Whispering, aka Voxus Surrantis which reflect his varied interests and unique perspective. Clarke Dixon – Clarke is my source for Wednesday articles at C201. His Sunday’s Shrunk Sermon is a posting of his sermon notes from his Baptist church in Ontario, Canada. I always learn something new. Scot McKnight – When Jesus Creed got left off the original list, I added it a few hours later, but it’s one from that list I still check regularly and wish I had time to read it all, as there are often several daily items to chose from. Greg Boyd – Also one of two here from the original list, I am a rabid fan of Re-Knew. You don’t have to convert to open theology or pacifism to be a reader, either. The Missing Link: Although it’s easy to find, I chose not to link to the 2014 article. My tastes have changed considerably. These are some people on the top of my computer bookmarks I wanted to share today. The Many Missing Links: I know what you’re thinking, Where are the Women? I tried to address this before the list first appeared, but decided I didn’t want to simply include some token female writers, but want to take more time to develop a list because I do, in fact, read several women writers. We dealt with this challenge four years ago with this link-packed article. By the way, although he’s busy doing eBooks and podcasts right now and didn’t meet our 30-day litmus test, Skye Jethani is one of my favorite thinkers and is possibly one of Evangelicalism’s best kept secrets. Here’s one from earlier in the summer which never made the link list: Are Christian Tattoos The New Circumcision? Sample: “Because the absence of a foreskin carried so much meaning in the ancient world, in a real way it was the prototype religious/consumer brand—an external mark of one’s identity; a visible symbol that provoked feelings of national and religious pride in the imaginations of God’s people.” Branding. I never thought of it that way. The two Mormon missionaries in artist Brook Robertson’s piece “Zion / Rocky Mountain Alliance” look determined. The figures are both wearing crisp white shirts and ties, resolutely staring forward as their vehicle heads towards it destination. Such a statue normally wouldn’t be out of place in Salt Lake City — the worldwide headquarters of The Church of Jesus Christ of Latter-day Saints. Except for the fact that the vessel is a spaceship. And one of the missionaries has the bright blue skin of a sharply-dressed alien. CLICK the image to read the full story at Huffington Post. Churches Losing Career Women – We frequently encounter articles about the church losing the male demographic, or losing youth, but this one offers an entirely fresh perspective. Why are working women disconnecting? The article is a mix of stats, theory and practical concerns. “‘The existing programs for women don’t align with my work schedule or my needs.’ – We often hear professional women in the church say they would rather go to the men’s 6:30 a.m. group events because of scheduling and content, but can you imagine if they went strolling into one? …[T]he women’s events are scheduled during the workday or at other times that a busy working woman who is putting in 40+ hours at work plus running a home plus often mothering children and getting them to school, arts and athletics, etc. just can’t make it.” This makes a good discussion starter for church leaders. Twenty for 2015 – Tony Morgan’s ideas and opinions do you make you think: “#6 Once a church gets beyond a few hundred people, it’s really dysfunctional for boards and committees to be involved in day-to-day decision-making around purchases, facility maintenance and staffing issues… #9 Every church should be actively planning to add a service, add a campus or plant a church… #12 Shared leadership doesn’t work. When all the leaders are equal, no one is leading…#18 Every church should do a marriage series, a money series and a series on life purpose every year…” In total, twenty, some of which he admits are politically incorrect. The Recognition and Function of Spiritual Gifts – A look at common misconceptions and questions raised by the topic of unique, individual talents: “A few believers have not fully appreciated, or embraced, their gifts because they were ones that did not appear to require some mysterious spin to its explanation. So they did not think very highly of those as spiritual gifts. So then, we tend to see how a vibrant biblical teacher could have a spiritual gift but not a skilled church administrator… So, what happens when we are outside of the walls of the church? … One who is blessed with wise counsel or sympathy does not automatically become unsympathetic or full of foolish advice when they are, say, with a colleague at workplace instead of at church.” Responding to a variety of questions people will ask. Crossing Theological Categories – Samuel James has been blogging on the Evangelical channel of Patheos for just a few days past one year. He’s been flooded with readers on a recent piece on Rob Bell, who he notes is a product of the Emergent movement but now espouses a teaching that is perhaps more in line with Pentecostalism, “which, of course, ends up making sense, since that’s exactly the kind of preaching that Oprah Winfrey seems partial to.” He observes, “Bell has now become the very thing he once decried;” and suggests something important regarding the people of Mars Hill Grand Rapids, Bell’s former church, “I feel a measure of sadness for those people; they have to feel a bit betrayed right now.” With all the attention given this, don’t miss James’ analysis in defending Dr. Russell Moore. When the Translators Finish, Everyone Gets a Book, Right? – Growing up in a missions saturated church, I always thought that a printed Bible was the end product of every translation project. But orality, not literacy, is the norm in nearly half of the world. The problem is that traditionally, tech solutions involved moving parts that rusted quickly in many parts of the world, and batteries which wore out. Today, the face of Bible distribution involves unsung organizations such as Galcom and Megavoice using microchip content and solar powered devices to relay Bible content in dialects most of us have never heard of. This video isn’t new, but gives the backstory. Bonus Link: Although the original story is two years old, making the rounds again is the marginal notes — complaints is a better word — that monks wrote in the margins of manuscripts they were copying. Having Church with Buffalo Wings – First it was movie theaters, now it’s restaurant chains. “When Riverchase United Methodist Church announced they would hold church services in a local Buffalo Wild Wings, they probably hoped to make a splash in the city of Hoover. I doubt they knew the move would inspire a top ten list on David Letterman…Christians need to abandon the idea of holy buildings and holy sites. Our church buildings are not the New Testament fulfillment of the Old Testament temple. Jesus is… We meet with God not in a physical building, but through Jesus who gave his life for us.” A concise look at a breaking story. Your Church’s Story, and the Surrounding Community Story – “From mega churches to house churches to traditional churches to community churches, the diversity in expression for the people of God in cities is vast. Yet amidst all the diversity, there is one commonality among North American urban churches: they all exist within a changing religious culture. Whether a church chooses to adapt, engage, withdraw or reject such change, they can’t deny that the church’s role in culture is in fact changing.” A short look at two churches in Vancouver, Canada that find the larger community around them undergoing dramatic shifts. Christianity without Christmas – “Some ‘conservative Quakers,’ said Chris Pifer, a spokesman for the Friends General Conference, one of several national Quaker groups, refuse to observe Christmas at all, under the “every day is a holy day” rubric. But not all of the nation’s 33,000 Quakers share that stance…Perhaps the most conspicuous of Christmas-shunners are Jehovah’s Witnesses, millennialists whose ranks include 1.9 million members in the United States. Although the group initially observed Dec. 25 as a holiday, church spokesman J.R. Brown said from the church’s Brooklyn, New York, headquarters, further study by one official in 1928 led them to drop the observance.” All this and more from a Mormon news website. After years of bullying, Ronin Shimizu, age 12, took his own life. Jamie Wright’s boys were on the same rowing team. Phil Vischer admits that putting Veggie Tales on Netflix opens up possibilities for other developers not available on the big three U.S. networks. But on a recent podcast (PVP # 131) he admits the new series takes some getting accustomed to. 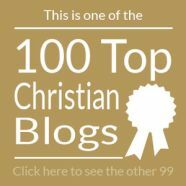 The ex-Fundy bloggers are better known, but if you’ve never read Plymouth Brethren Dropout’s blog, this recent post is a good place to jump in. …which brings us to this story about HarperCollins Christian Publishing division Westbow Press, which fortunately didn’t make it into the mainstream media. The Cross in the Woods shrine is probably best known for a cross in the woods, right? But it’s also home to 525 nun dolls. A 30-second peek at Rob Bell’s TV show, which starts this weekend. Speaking the gospel to Muslims. Nine dos and don’ts. In Arkansas, it’s a war of the billboards between atheists and a church. Constantly dealing with anxiety? Here’s a letter to Mr. (or Mrs.) Anxious. A female rapper admits her album was inspired by a John Piper book. Bonus for rap aficionados: The entire album is currently posted to YouTube. The latest report on the health benefits of circumcision. I’m not sure that this is relevant to all readers, I’m just curious to see how many clicks it gets. Essay of the Week: From Converge, a Canadian publication somewhat similar to Relevant Magazine, a look at the fear of being a stereotypical girl; the fear of being average. The Badvent calendar contest has a winner, but it’s not safe to post here. If church is just an annual thing for you or your family, you might relate to this SNL skit. Click to watch at Relevant. Sometimes I find myself collecting links for Wednesday and then I reach a point where I just can’t stop, like those perpetual motion machines, or those guys in Asia who kept fighting a war long after it had ended. The Archbishop of Canterbury admits that the worldwide Anglican communion may end up fractured. For most of us, these ten great ideas for using social media with your church family arrive too late for this Christmas, but it’s never too early to start planning 2015. Ebola fighter Dr. Ken Brantley is on one of five multiple covers, sharing the honor of being Time Magazine’s Person(s) of the Year. Answers In Genesis plans to counter critics over the tax incentives offered to its Noah’s Ark theme park with a billboard campaign in three cities. …And continuing in a numeric vein, Ten Things Everyone Should Know About Handel’s Messiah. Essay of the Week belongs to Kay Warren: Don’t send cheery Christmas cards out to families who are reeling from a major loss in 2014. Do They Know It’s Christmas? “Critics say the lyrics are patronizing and demeaning to Muslims in Liberia, Sierra Leone and Guinea who do not celebrate Christmas.” Could not someone have written a new song? A popular homeschooling mommy blogger wrestles with what to tell and teach the kids about the fat guy with the white beard in the red suit. The Amish Beardcutters — great name for a band, by the way — will have a new hearing in February after their convictions were overturned. This is a re-sentencing, not a retrial. Finally, rap musician and actor L.L. Cool J credits some of his success to tithing: “Every dime I get, no matter what it is, I give 10 percent to the church. I’m a life-long tither. I believe strongly in giving… And I’ve seen it work in my life…” Read the story. At least 24 hours after hearing of the death of Ken Silva of Apprising Ministries, it occurred to me that Erin Benz at the blog Do Not Be Surprised would probably have noted his passing, and I was correct. In a ten minute span that followed I clicked around her blog and gained some insight into what motivates her as a blogger. While there are probably some theological things Erin and I would disagree on, I want to say that I am in total agreement with everything I’ve copied and pasted below. I don’t feel called to do a blog that has the same tenor perhaps, but I have waded in on certain breaking stories, but I’ve also waded out when the stories went mainstream. Similarly, Do Not Be Surprised doesn’t seem to belabor a particular issue. As Christians, we are called to “contend for the faith once for all delivered to the saints” (Jude 3). This blog seeks to answer that call. The truth is everything and God’s truth has been under attack from the beginning. Today, churches and Christian groups and organizations have readily and eagerly compromised the truth of the Gospel. They have done so in favor of gaining numbers, filling pews, and over-filling offering plates. Truth, even the truth of God’s unchanging Word, has become relative, and has become secondary to one’s personal experience or revelation. Those who see this compromise, this denigration of God’s Truth, must stand up and speak out against it. Even our proclamation of the true Gospel of Jesus may be marred if we choose to remain silent in the presence of “doctrines of demons” (1 Timothy 4:1) because our silence betrays a subtle acceptance of these lies. Remembering these warnings, and resting in the grace and strength of Jesus Christ, may every Christian have the courage to earnestly, boldly, unashamedly, contend for the saving faith and salvation in Christ that has been granted unto him. On a personal note, having served at one time alongside Ken at Apprising’s sister site, Christian Research Network, I am thankful for the way in which the Lord used Ken in the life of Do Not Be Surprised. So she brings some practical experience to her writing. I should also say that as this blog’s Wednesday Link List approaches its Monday night deadline, I always check Erin’s This ‘n That column, a Saturday link list, to see what stories grabbed her attention that week. So Erin, if you’re reading this and you decide to look around here, you might notice that I am passionate about some individuals and ministries that perhaps you disdain, and I want you to know that is probably matched by an equal amount eye-rolling when I read your blog. But when I read the posts I’ve linked to here, I can’t deny that your online work is born out a desire to see God’s word rightly divided and God’s truth setting people free. To my readers, I would say that as you get to know the heart of someone, you can agree to disagree on things; and you can determine to celebrate the things that unite us. The first time I can recall anyone within the Christian world changing their name mid career was when Leslie Phillips became Sam Phillips. A newer generation might cite Katy Hudson becoming Kate Perry. 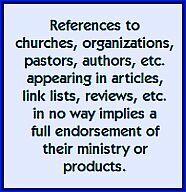 Both of those examples however were exiting the Christian marketplace. I’m sure there are some Christian author stories out there as well, but I can’t think of any. However, on Monday, Zondervan and Thomas Nelson author Anne Jackson announced to the world that hereafter she will be writing under the name Anne Marie Miller, in a blog post entitled Anne Jackson Is Gone. …But what about those people who only know “Anne Jackson”? How will they find out? Is it a bad career move? Read her entire article — complete with a picture of her new hubby — at this link.